Beyond React 16: Time Slicing and Suspense API — Last week we linked to Dan Abramov’s ‘Beyond React 16’ talk where he showed off ideas coming to React in the future, and here Prosper Otemuyiwa reflects on them some more. Server Rendering with React and React Router — An extensive walkthrough of slooowly building a server-side rendered React and React Router app from scratch. There’s also a 50 minute video if you prefer that. 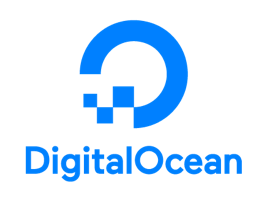 Host Your React App in a Matter of Minutes with DigitalOcean — Simplify complexity and go build, deploy, and scale quickly. Try it with a $100 credit on us. CSS in the Age of React: Trading the Cascade for Consistency — How developers at Yelp are using React and CSS together while ensuring visual consistency across their app. Get Started with Data Visualization using 'React-vis' — React-vis is a charting library from Uber. ▶ Build a Complete Stopwatch React Native App in 60 Minutes — Then you can time yourself building your next app. So You Want to Host Your Single Page React App on GitHub Pages? Technical Lead, Web (React / Front-end) — Play a critical role in the digital evolution of NBC News, one of the world’s best known and most trusted news organizations. 9 React Tools And Libraries To Improve Your Component Workflow — Includes Bit, Storybook, Apollo, and Radium. React Reveal: 'Reveal on Scroll' Animations — The homepage itself is a giant example of how it works and looks. react-flickity-component: A Component for 'Flickity' Carousels — A React component for this touch-friendly carousel component. Note: Flickity is GPLv3 licensed, so a commercial license may be needed.